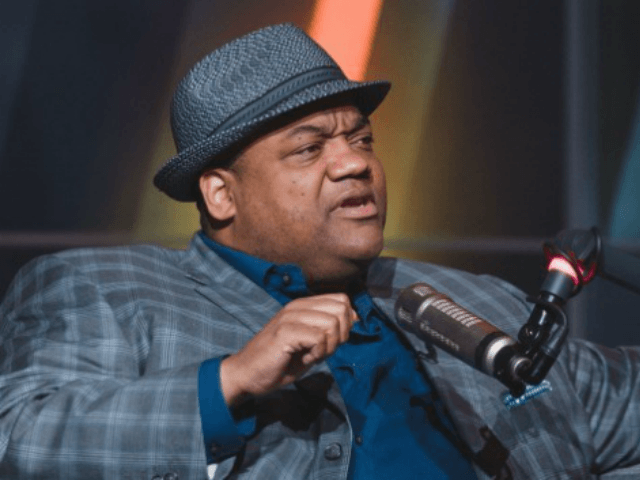 Fox Sports 1’s Jason Whitlock slammed the Hollywood Reporter for a recent article claiming that sports cable network ESPN is not too liberal. According to many, as it devolved into the “woke” sports network, ESPN created a corporate culture that intimidated conservative employees into silence. This is how Whitlock feels, and he should know, he used to work at the sports giant. But as far as Hollywood Reporter is concerned, the accusations that ESPN is too liberal is a “laughable” perception. HR’s proclamation was delivered in a recent piece by Marisa Guthrie whose June 20 apologia made a series of assertions all of which insist that ESPN is really a “conservative” network. For instance, in one segment of her article, Guthrie claimed that Jemele Hill’s “woke” version of SportsCenter earned low ratings because it was “too new” not because it was “too liberal.” Indeed, Guthrie cited an unnamed “executive” who charged that ESPN didn’t give Hill and her co-host Michael Smith a chance. But all this was just too much for former ESPN commentator Jason Whitlock. Whitlock, who is well known for his opposition to anthem protester Colin Kaepernick, jumped to his Twitter account to slam the HR report. In a third tweet, Whitlock added that ESPN’s on-air talent are afraid not to be “woke” and don’t have his thick skin. “They justifiably don’t want to put up with the harassment associated with blue-collar, football, faith values. Easier to play ‘woke’ than tell the truth,” Whitlock tweeted.